TNI Bureau: While addressing the people of Odisha on 64th Republic Day, Chief Minister Naveen Patnaik has announced Re 1 per kg rice to all BPL families in the state from February 1, 2013. 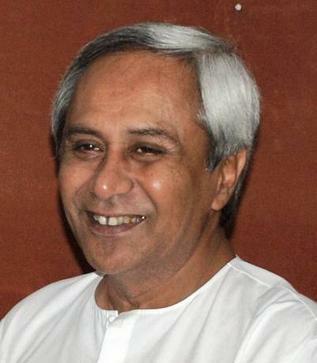 It could be recalled that Naveen returned to power in 2009 after making the BPL rice available at Rs 2 per kg. Over 58 lakh people in Odisha, including SC/ST hostel students and Antyodaya will be benefited from the new scheme. In addition, the APL families in KBK district will also get 25kg rice per month at Re 1 Antyodaya per kg. The BPL families will get 25kg rice per month at Re 1, while people under the scheme, will get 35kg rice per month at the same rate. Naveen Patnaik hoisted the flag in Cuttack and watched the Republic Day parade. He vowed to make Odisha a “hunger-free” state and said Odisha occupies a special place in India’s growth map. He also revealed that Odisha has make significant progress with an increase in GDP rate and literacy. He further promised adequate security for the women. Odisha Governor MC Bhandare hoisted the flag in Bhubaneswar and watched the Republic Day parade at the Mahatma Gandhi Marg.